Have you made oven fries and ended up with floppy potatoes? I have too and it’s no good. These Crispy Baked Potato Wedges are super crispy and delicious. No floppy fries anymore. The hot salt water soak really helps to crisp them up. 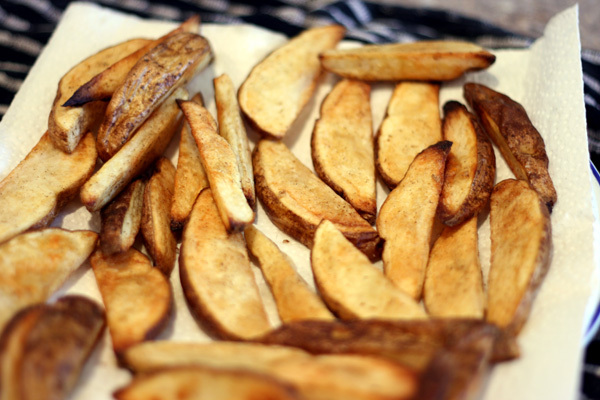 If your fries are floppy, try this Crispy Baked Potato Wedges recipe and be amazed! Fill a large bowl with hot tap water and stir in 1 Tablespoon salt. 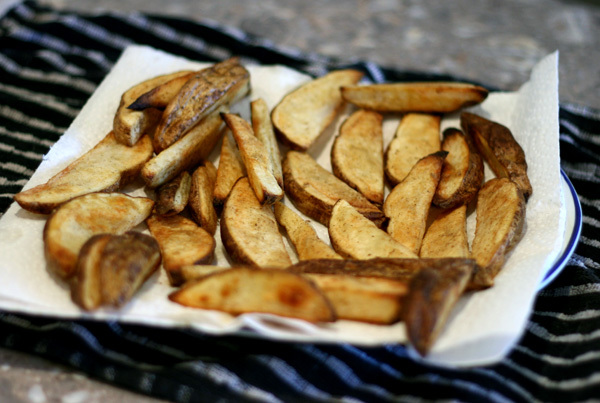 Cut potatoes into wedges and add to the hot salt water. 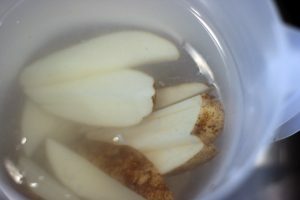 Let soak for 30 minutes. Drain and dry the potatoes with a towel. Coat the potatoes with canola oil and season with salt and pepper. Arrange on a baking sheet in a single layer. Bake until the bottoms are browned, about 15-20 minutes. Flip wedges over and bake until the other side browns, about 10-15 minutes. Place on paper towels to soak up any additional oil.